Owners of the infamous Google Glass are set for a treat, with the smartglasses receiving their first update in nearly three years. The refresher is the company's first look at improving the much-maligned device since September 2014 — a time long before before Donald Trump's presidency, Brexit and the dab — with the new XE23 version helping Glass to support Bluetooth devices. This means that users will be able to link up with the likes of keyboards, mice and other gadgets across the air. 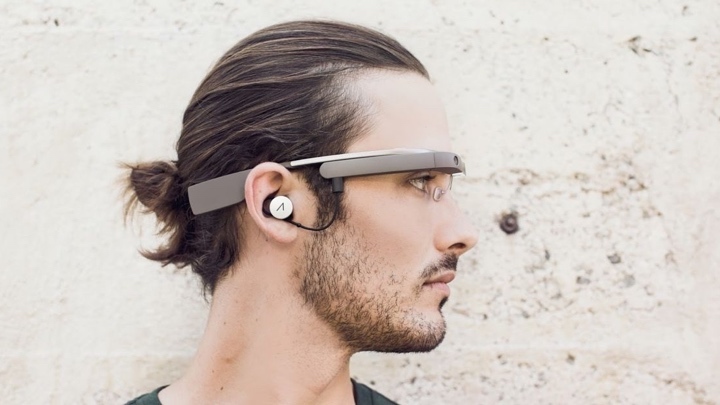 Read this: Google Glass 2.0 - what's in store? Updates to the MyGlass app have also dropped, with various bug fixes cleaning up a platform that has dealt with years of neglect. With it now able to hit smartphones running at least Android 5.0, it now possesses the ability to sync notifications from the phone to the device, like Android Wear, and nudge the user to disable the battery-saving Doze mode - meaning it can still work when the phone is asleep. But while the Google Glass mini-resurrection is an interesting bolt from the blue, it's important to note that it's also likely nothing more than just that. After all, it's no exaggeration to rank the project as one of tech's biggest ever flops — the $1,500 wearable computer isn't sold anymore and its website was all but left hanging back in 2015. Recovering from that would take more than a couple of updates. So why did Google choose remind us of the forgettable Glass? Well, that's the question here. Maybe someone in Mountain View just had some downtime this week, or perhaps it was a test to gauge interest. Either way, it's probably a better bet to cast your eyes towards what Google Glass 2.0 could look like.